Canada's barren ground caribou are likely to become endangered if nothing is done to help them, a new assessment suggests. The Committee on the Status of Endangered Wildlife in Canada (COSEWIC), a group of about 50 scientists across the country, classified the dwindling barren ground caribou as "threatened" Monday. Barren ground caribou comprise more than a dozen herds stretching across Canada's territories and the northern Prairies. "The caribou is on our quarter. It's part of our national heritage and it's also symbolic of environmental concerns," said Justina Ray, a member of COSEWIC and the chair of a committee tasked with assessing barren ground caribou. "They're declining at a rate right now that is very worrisome and it does need to be reversed in order for them not to become endangered and then potentially extinct." For the first time, the independent group made up of researchers and scientists are legislated to assess and designate everything from lichen and moss to butterflies and caribou, looked at the health of the barren ground caribou population. Some estimates show up to a 95 per cent drop in herd populations from historic highs. 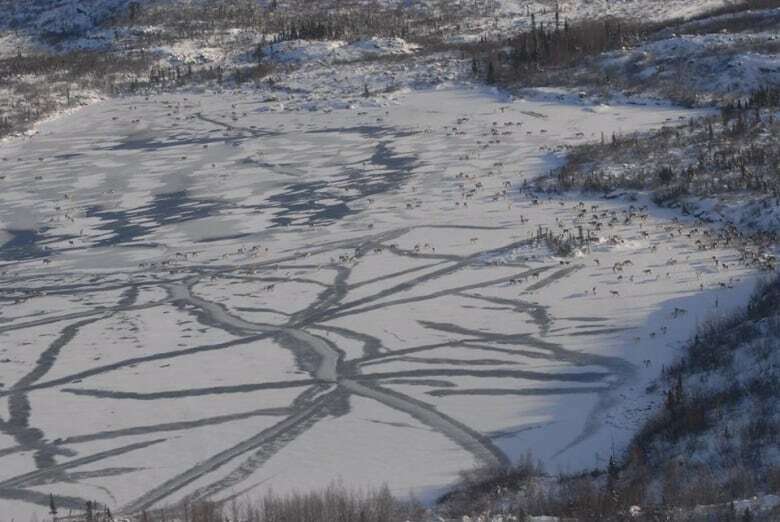 COSEWIC will release a report next year and make a recommendation to Canada's Environment Minister to list barren ground caribou as threatened under the Species at Risk Act. If the government were to list the species as threatened under the act, a recovery strategy would be developed. "It's kind of an unprecedented listing in that it's such a wide-ranging species with such a huge number of herds all interacting in different ways," said Brandon Laforest, an Arctic species specialist with the World Wildlife Fund (WWF), based in Iqaluit. "It will be very interesting to see how the federal government handles it, if they do indeed list it on the Species at Risk Act. But it will also be very crucial that they look at it very carefully given the dire status of the herds across the North." The WWF is also renewing its call for Nunavut to protect caribou calving grounds from new development, a stipulation it hopes the territory will include in its land plan currently under development. "No one has ever said that industrial development has caused the crash we're seeing in caribou populations," Laforest said. "But the last time caribou crashed and were at their population lows was 50 years ago," he said. "The world was a much different place. We have increased human presence in the North, we have climate change having impacts on caribou and we have increased exploration and potential for resource development."